Whenever you are ready to book your party bus with Party Bus Baltimore, just give us a call or send us an email. Our contact information is below. We would also like to take this time to thank you for visiting our home on the web. 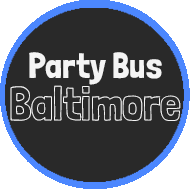 We hope you found the information we have presented to be helpful in your search for a party bus in the Baltimore area. We look forward to working with you! Right off the bat we of course need to know which date you are looking for service. In addition, this is when you should let us know if the date is at all flexible that way we may be able to save you more money or in case the vehicle you wish to book is already reserved for your desired date we can give options. Similar to the date in which you will need service we need to know the time we will be picking you up. We will also need to know how long you will need the vehicle for, if for example you know you are going to need our vehicle for a longer than average bookings, we will have to account for the extended time needed. This is where we will be picking you and your guests up to begin the festivities, presumably this will be the same location that we will be dropping you off at the end of the night, if not you will need to let us know when booking. We can make multiple pickups but your clock starts running at the first pickup location. When you travel with us you are given unlimited stops, which is helpful if you are on a long journey and people need bathroom or smoke breaks, but we need to know the main location we are heading to help map out the length of your trip. If you know you have multiple stops it will be helpful to tell us up front as well. Our vehicles by law can not exceed the number the maximum number listed for each vehicle and the seat measurements used by the states are pretty narrow, so unless your trip is mostly for kids you may want to reserve the next size up bus to make sure everyone has enough room and is comfortable during your travels. You may be wondering why we would care what the occasion is, but there are actually a couple of reasons. One being for events like weddings, birthdays and other milestone celebrations we may be able to offer a decoration package fitting the event. We'll also be able to assign the best chauffeur that matches the occasion. To make sure you are given accurate information please make sure you include all the information requested above. Please allow up to 24-72 hours to receive a response, if you would like an immediate response from us please just give us a quick and easy phone call and our knowledge and courteous booking team will walk you through the custom booking and/or quote process and make sure you are getting the best package for your needs.